An heroic eight-year-old boy rescued FIVE people from a treacherous stretch of coastline – in the space of just two days. 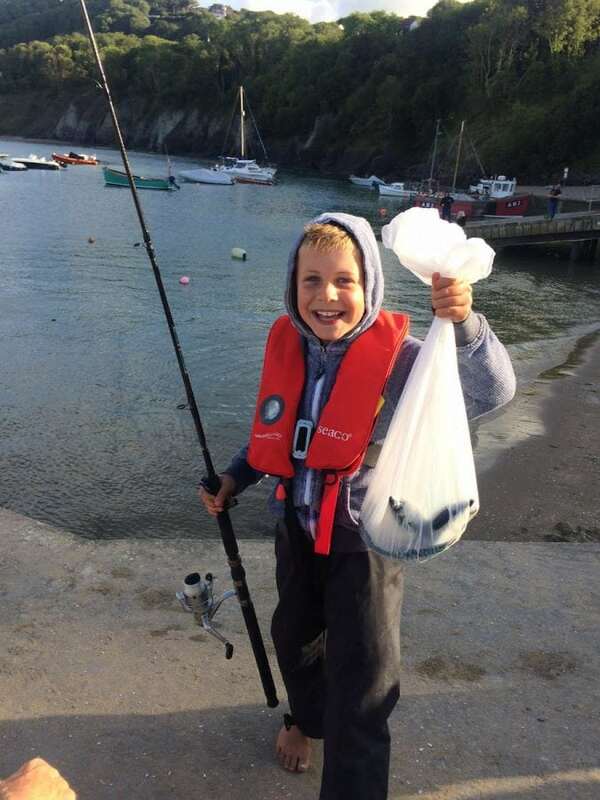 Brave Steffan Williams was out kayaking when he spotted three tourists – an elderly woman and two teenagers – huddled on a rock. He quickly fetched his rubber dinghy and then towed the terrified trio back to the shore. Steffan Williams on the lifeboat slipway in New Quay near where the rescues happened. And just two days later he spotted two teenage boys stuck on the same rock, frantically whistling and waving to catch his attention. This time his mum Kate insisted they call in the local RNLI team, which happens to include Steffan’s DAD Huw – who collected the lads on a lifeboat. Brave Stefan, of New Quay, Ceredigion, Wales, was given a £7 reward by the first family he rescued. He said: “They were really grateful, I haven’t spent it yet. “The tide was going out but it wasn’t going out a lot so I just went over and took them back, one at a time. “The second time I was at the pier and I saw a ball floating out to sea. Steffan Williams raiseing funds for the RNLI. “I heard whistling and looked back to the beach. I looked on the rocks and saw them and paddled to the rocks. Steffan lives in an area popular with tourists, who often use the sandy beach as a cut through between caravan parks and the town. He often paddles close to the shore on his kayak as his mum Kate, 41, supervises from the beach. The first rescue, on August 29, was around noon, while the second, on September 1, was about 6pm. In August was year there were three fatalities nearby when people enjoying the water got into trouble and drowned. Despite this, the town’s lifeboat is under threat of being downsized in three years time. 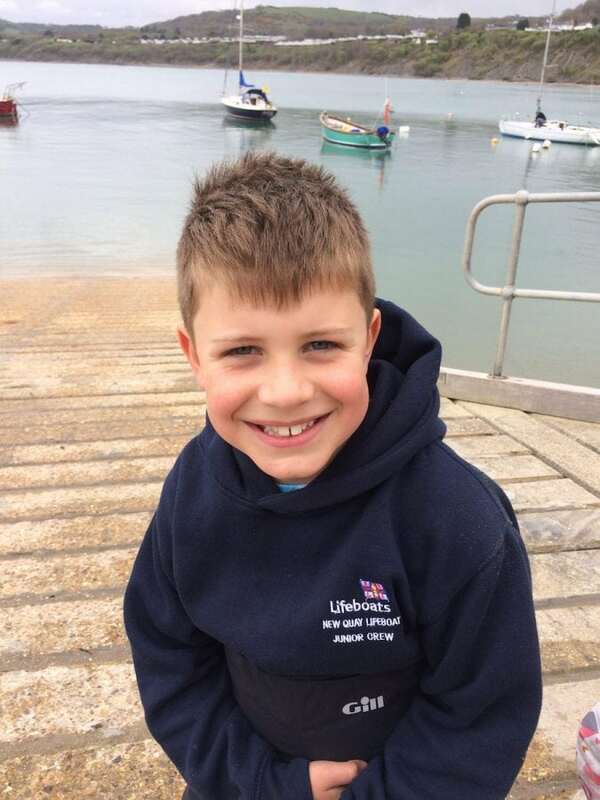 Steffan hopes to join the lifeboat crews just like his dad when he turns 17 – and was rewarded for his bravery with sweets and an RNLI baseball cap. 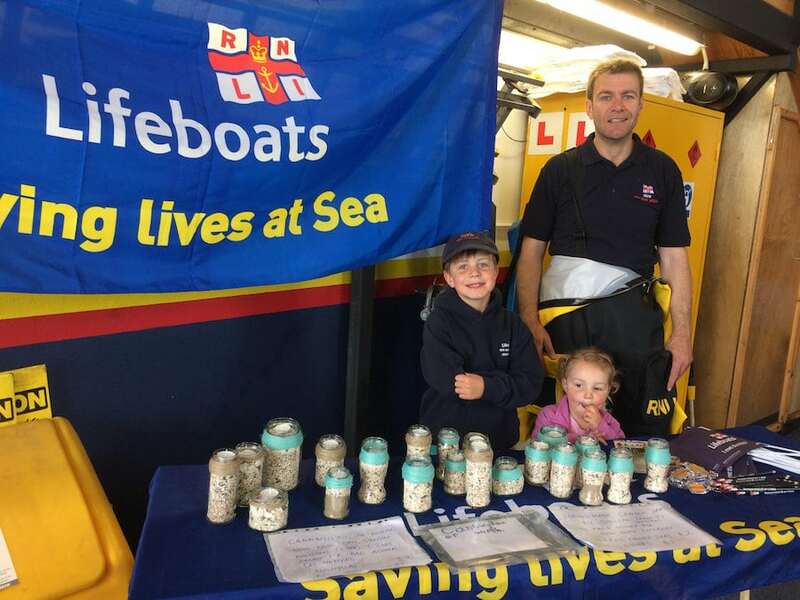 Until he is old enough to join the boats, Steffan has helped by raising more than £100 for the charity by selling handmade candles in jars filled with seashells. He said: “I want to be a life boat person when I get the chance. “They are taking away the New Quay lifeboat to replace it with a little one. I’m very sad about that. Since he was four or five years old, Steffan has been captivated by tales of the adventures of lifeboat crews which he was told by his grandpa. He started going to life-saving classes two years ago, and has learnt to sail, kayak and paddleboard. 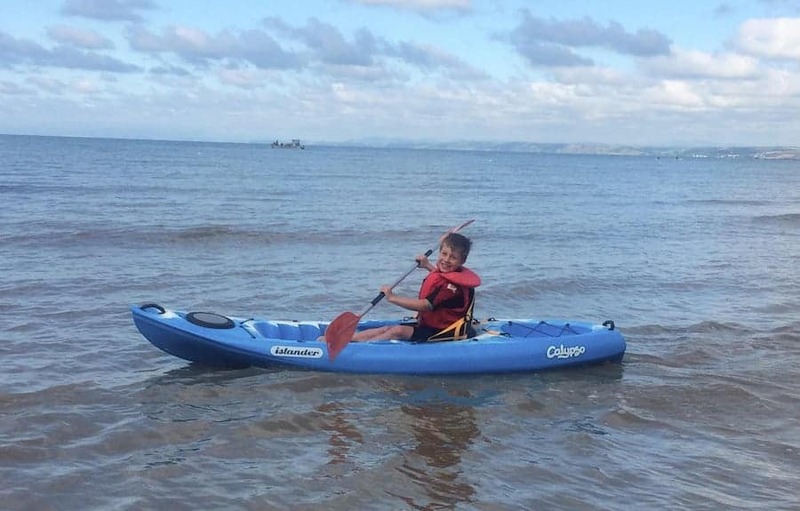 Proud dad Huw, 43, said: “He’s really confident on the water – he loves to go out on his kayak. “His big ambition is to be on a lifeboat crew. The first time, with the elderly woman and the teenagers, he could’ve stood up in the water, it would’ve been up to his neck. “The second time was much more serious. The two boys were staying in the holiday park – that’s what tends to happen, people walk to town across the beach and don’t realise the tide is coming back. He added: “In August last year there were three fatalities on one day, the New Quay boat went to a case just south of here where someone swimming was swept out to sea. “There is talk about not renewing the lifeboat, in 2020.